And of course, our 20th high school reunion in 2012, lookin' EXACTLY the same - riiiiight? 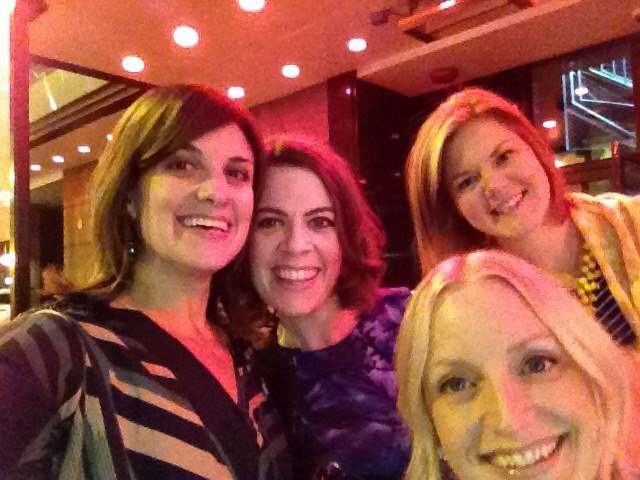 And whaddya know, this reunion pic was taken almost exactly two years ago - on my 10th wedding anniversary, I was hitting the town with these gals. This week, my husband and I will be doing some fine dining for our 12th, which also coincides with our 10th Seattle anniversary. Yep, we ended the epic road trip from Chicago on our 2nd anniversary. Will give a full report on what we ate next week, as we are *gasp* venturing out from Daniels Broiler. Monday - out with Clare! Saturday - out for our anniversary! Have a fun girl time! !